We have set up this website to provide our archery club members and members of the public with information about our Derby based Target Archery Club and archery in general. 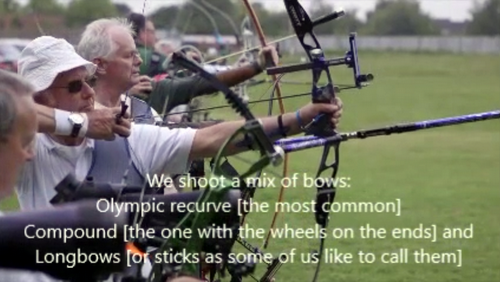 We are a merry band of archers ranging from age 8 to 80. We encourage every discipline of bow style, wether it's recurve, compound, longbow, barebow; and affiliate to county and regional archery associations under the guidelines of Archery GB. Interested in Having a Go? 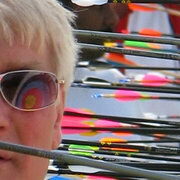 Do you want to become a club member or would like to experience Target Archery to see if it is for you? If so then please get in touch. We would welcome any enquires you might have about our club. Phone us on 07858 707090 or use our contact page to send us a brief message. Please see our Info Page for more details and/or contact us to check availability. Our 33rd Annual Open Tournament is to be held on Sun 11th Aug 2019 - please see our Tournaments Page for entry form and more details.